PZU acquired Link4 in Poland, Lietuvos Draudimas in Lithuania, AAS Balta in Latvia, and Codan Forsikring in Estonia, all from the British RSA insurance group. As a result of the acquisition, PZU will become the largest insurer in the Baltic region. SORAINEN advised PZU on the transaction and the same firm secured merger clearance from the Latvian competition council as well (as reported on by CEE Legal Matters on 5 June 2014). Consultancy to RSA Insurance was provided by lawyers from LAWIN (in all three Baltic countries), Soltysinski Kawecki & Szlezak (in Poland), Slaughter and May (in London), and Gorrissen Federspiel (in Denmark). 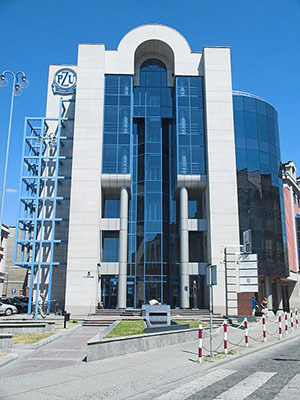 According to Ilyasvev & Partners, Under Section 22 of the Competition Act in Ukraine, PZU had to also obtain AMKU’s merger clearance in order to proceed with this multi-million dollar deal. Towards this end, Ilyasvev & Partners' head of antitrust and competition practice Oleksandr Fefelov, Taras Utiralov and Mykola Aleksiuk successfully represented PZU.